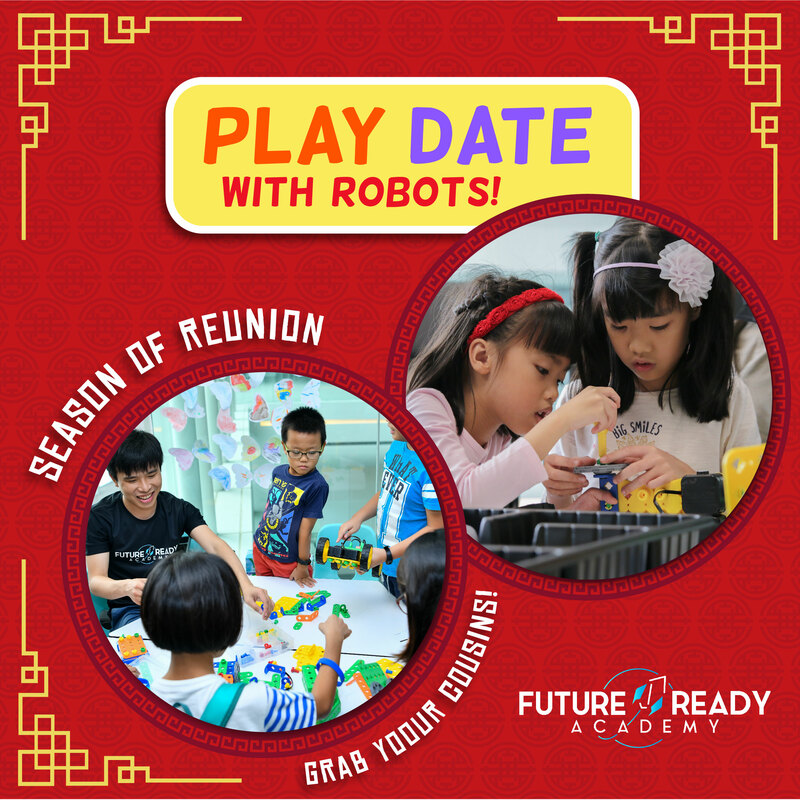 We are gearing up for Chinese New Year at the Future Ready Academy and setting up our activity center for play dates, birthday celebrations and more. We are throwing our doors open for an enthusiastic group of children who want to spend time socializing, learning, having fun and building skills. If an engaging time is what you are looking for, join us today! Need a great place to host play dates? Play dates at home can be a task to manage. That is why we have decided to help you out with a place to host those fun sessions where kids can stay entertained and you can have some moments of relaxation! Although we think our spaces are 100% perfect, we always encourage parents to call us or come down to our office for a quick chat and demo of what is on offer. We have spaces designed for a large group of kids. We are running Ang Pow special where we provide 1.5 hours of play date time for $18 per child. Perhaps you are looking for a Birthday Party venue? When the pressure is on to make each year better than the last, we give you an option that is sure to surpass everything else! Why not throw a party that will leave your child with a positive, unforgettable experience? Future Ready Academy hosts incredible birthday parties for groups of 20+ kids. And with Chinese New Year right around the corner, we are running some great promotions. Get ready for some fantastic experiences for unbelievable prices. Contact us for more, today! P.S. Take a look at our available slots for play dates and book TODAY! For slots beyond what’s available and for birthday parties enquiry, write to us directly at Enquiry@Futurereadyacademy.Com and we will make it happen. Seats are subjected to availability. We will contact you upon your receipt of registration to confirm your booking. If you are looking at group bookings for play dates, please register separately for each child.